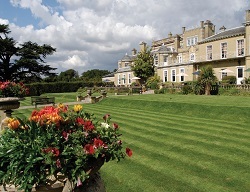 A spa day in Hampshire is very easy to come by and we have many venues in the area offering great packages. From best value spa days offering just one treatment, to mid-level spa days offering a couple of treatments, right through to the more luxurious spa days which usually consist of many hours of treatments. All of our spa days come with full use of the leisure facilities throughout your day at your chosen hotel – guaranteed to relieve any stress and tension you may have felt before your arrival. You will leave feeling like a new person and ready to plan your next spa day away. Spa days are perfect should you fancy a day away on your own but can’t stay overnight and need to get back in the evening. Maybe you and a group of friends need a break away for a good catch up on all of the gossip that you have missed out on. The possibilities are endless with a spa day package at one of our glorious venues.